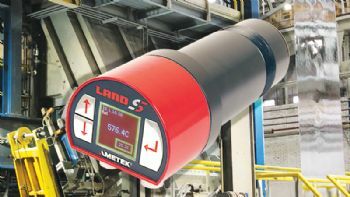 A new pyrometer for accurately measuring the temperature of ‘galvannealed’ and galvanised steel strip is now available from Dronfield-based Ametek Land (www.ametek-land.com). The Spot GS steel application pyrometer provides continuous and accurate temperature measurement of coated steel strip during the galvanneal reaction. optimum throughput rates in order to ensure the consistent high-quality premium-coated steel demanded by the automotive industry. Spot GS enables automated furnace management to provide close control of the reaction and position of the reaction zone, delivering tighter control of product quality. By maintaining control of the reaction zone, the steel application pyrometer accommodates rapid changes of line speed and furnace power with variations to substrate or coating weight. 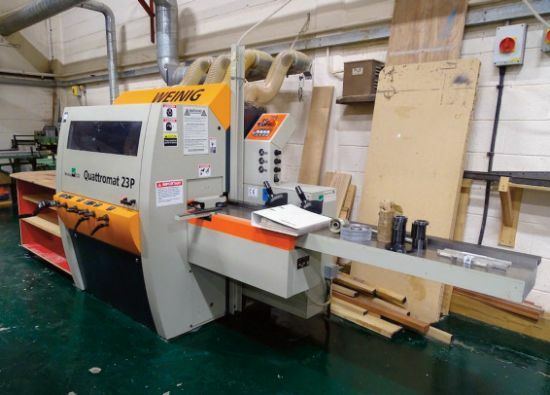 This allows for furnace optimisation, which in turn reduces heating costs, maximises throughput and avoids excessive over-reaction and powdering or flaking of the coating during subsequent forming operations. digital control I/O as well as over Ethernet. Pyrometer readings and configuration settings are available on the rear display and remotely via a Web browser or through dedicated Spot software. Spot GS is available with the free-to-download SpotViewer software, which allows configuration of display and the logging of data. A range of mountings and accessories compatible with all Spot pyrometers is also available.